Premier Commercial was established in the mid-1980's as a division of the Lutgert Companies. Initially Premier provided commercial real estate services to the company's expanding portfolio of high profile properties, such as the Mercato, The Village on Venetian Bay, The Northern Trust Building, and others. Since that early start, the company's scope and direction has since shifted and broadened to include providing that same level of expertise to third party clients. The company has now grown into a team of the area's most seasoned real estate professionals, serving Florida's West Coast, including Naples, Bonita, Estero, Ft. Myers, Sarasota, as well as Florida's West Coast. 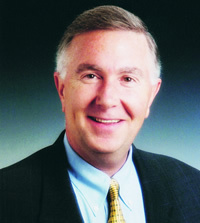 Thomas A. Bringardner, Jr. is the president and CEO of Premier Commercial, Inc. Bringardner joined Premier Properties of Southwest Florida as president and CEO in June of 2003. 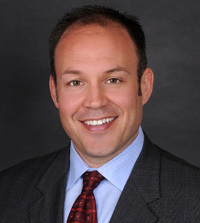 Prior to joining Premier Properties, Bringardner was with Northern Trust Bank for 12 years and served as the president of Northern Trust Bank at Bonita Springs. Mr. Bringardner originally relocated to Southwest Florida from Columbus, Ohio in 1977. He is a graduate of Ashland University/Ohio with a BS in economics and management. He is currently the past-president of The Forum Club of Southwest Florida, and a Board Member UCP/Sunrise Community of Collier County. 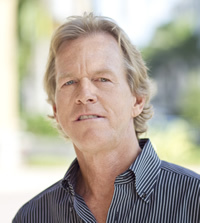 Bringardner has also held leadership positions in a number of civic and philanthropic organizations including the YMCA, The Education Foundation of Collier County, The Southwest Florida Speakers Assembly, and the United Arts Council. Mr. Bringardner and his wife, April, have three children and four grand children. Tom can be reached by calling his direct office number at 239.261.6161 x2408. Tom can also be contacted by email at TomB@premiermail.net. Since 1983 Dougall McCorkle has been responsible for the Lutgert Companies portfolio of high profile commercial properties and had served as a Senior Vice President of the company. Dougall now exclusively provides commercial brokerage services at Premier Commercial. Dougall has a thorough knowledge of the commercial real estate industry negotiating well over 500 transactions, from securing space for both office and retail users to representing buyers and sellers of investment and income properties. Dougall is well versed in all areas of the commercial real estate development including zoning and entitlements, architectural design issues, leasing, financial analysis, and property management. Dougall graduated with honors in economics from Hobart College and received a MBA from the University of Chicago. He is an active member of the International Council of Shopping Centers. Dougall specializes in Southwest Florida, with a particular emphasis on Naples, but his knowledge base extends throughout the West Coast of Florida, from Tampa Bay southward. Dougall can be reached by calling his direct office number at 239.213.7234. Dougall can also be contacted by email at Dougall@premiermail.net. 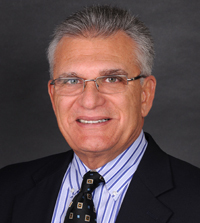 A lifelong resident of Lee County, DeSalvo has specialized in commercial real estate since 1980. He has achieved the professional designation of Accredited Land Consultant granted by the REALTORS Land Institute. He received his undergraduate degree from Tulane University and a Masters of Business Administration degree from Florida Gulf Coast University. Andy can be reached by calling his direct office number at 239.992.1200. Andrew can also be contacted by email at AndrewD@premiermail.net. Matthew Stepan has served as a commercial sales associate with Premier Commercial, Inc. since 2004. In 2010 he achieved the professional designation of Certified Commercial Investment Member (CCIM) awarded by the CCIM Institute. Stepan has Midwest roots where he earned a B.A. in Communications from Eastern Illinois University. He is a member of the Bonita-Estero Association of REALTORS®, the Bonita Springs Area Chamber of Commerce and the CCIM Institute. Matt can be reached by calling his direct office number at 239.992.1200. Matt can also be contacted by email at MattS@premiermail.net.